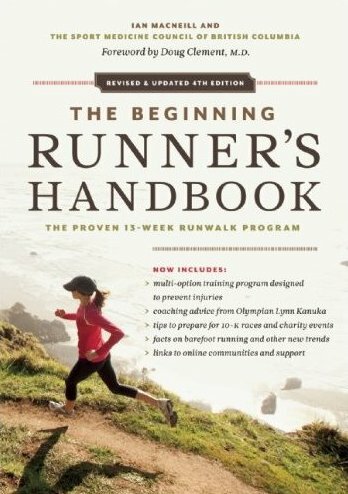 Since it was first published in 1999, The Beginning Runner’s Handbook has sold more than 90,000 copies, helping participants at community clinics across Canada - and thousands more runners around the world - realize their goal of running 10K. This easy-to-use, practical guide is completely updated in this fourth edition. It now includes a revised RunWalk program that gives runners a choice between running 10K or running and walking the distance, depending on their individual goals and fitness. Tried and tested by thousands of new and experienced runners, the thirteen-week program was developed as a training regimen for the Vancouver Sun Run by SportMedBC in conjunction with sport medicine doctors, therapists, nutritionists, and trainers. A new chapter on preparing for 10K events, including charity runs, reflects the popularity of getting fit while giving back to the community. Expanded and enhanced sections include cross-training options such as trail running, group fitness classes, and boot camp sessions as well as information on running through pregnancy. In this updated edition, there are facts about barefoot running, minimalist shoes, and links to online sources of information and running communities. Combining expert advice, handy training tips, and answers to commonly asked questions, as well as testimonials from runners of all ages who have met the 10K challenge, The Beginning Runner’s Handbook is like having a running coach in your back pocket.